During a biomechanical assessment we look at the way you stand and walk. We may test your muscles for flexibility and strength, your joints for function and motion. Orthotics are a type of arch support to correct the alignmentof your foot. Your podiatrist will recommend the best type foryour condition. We offer ready made medical grade orthoticsall the way up to full custom orthotics. At Ettalong Podiatrywe believe in value for money. While custom made orthotics are expensive we won’t overcharge you. Ingrown toenails can be treated conservatively or surgically. Conservative treatment involves cutting the nail correctly, this is usually painless. The earlier the condition is treated the simpler the treatment. Surgical treatment may be necessary if the problem is recurring or if infection is not responding to antibiotic treatment. Podiatrists are trained professionals and are experienced in this procedure. Nail edge removal can be the preferred long term treatment. A local anaesthetic is administered and normally a person can wear regular shoes within a day or two. Panadol is occasionaly required for post operative pain. Private health funds vary in their rebates for nail surgery, so please check with your health fund. First of all, don't believe everything you see on TV. Applying a topical solution requires persistence and patience. This method usually takes 6-12 months. Different products are used differently. Some are applied once a week some are applied twice a day!! With various results. This is by far the most effective treatment. 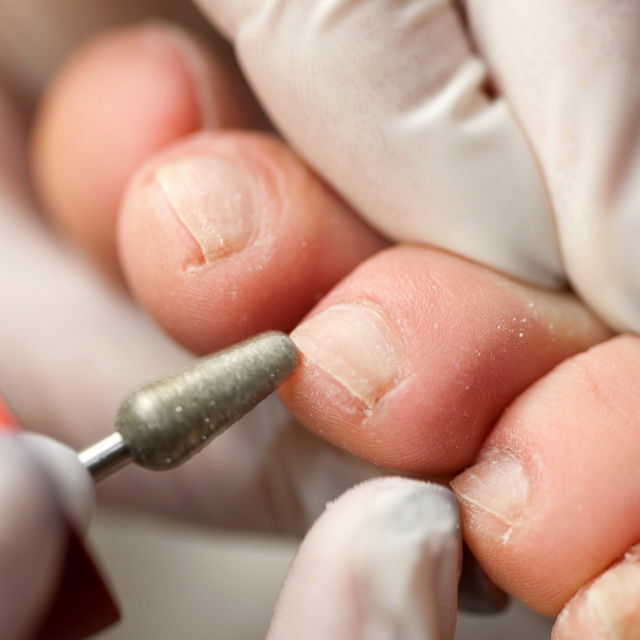 First you will need a nail sample tested and must test positive for a fungal infection. This test is not perfect, the better the sample the better the result. Your GP will order the pathology test and may prescribe this medication based on your general health..
An expensive and unproven treatment. While early results look promising, there have not been any conclusive studies. This works by directing the laser, heating the nail bed to kill the fungus. Tee tree oil, Vicks Vapour Rub, Vinegar, Garlic, Baking Soda, Listerine....... While these products can work again it requires persistence and patience. Some home remedies are not designed to be applied on a regular basis and a contact dermatitis can result. Any of the above treatments will be more effective if the infected nail is removed. This is a harmless and pain free procedure and will provide the start you need for treatment. For further information, or to consult with one of our skilled podiatrists you can use the Contact Us buttons at the top or bottom of this page, call our Ettalong Beach practice on (02) 4344 4340, or visit Ettalong Podiatry‘s state of the art Podiatry clinic at 2/19-21 Broken Bay Road in Ettalong Beach.